Ethnic minorities form a very substantial proportion of the population of China, with over 100 million people in 55 formally designated minority groups inhabiting over 60% of the country’s land area. Poverty and economic inequality of minority groups are widely-recognised problems. However, as this book, based on extensive original research, shows, underlying economic inequality are educational inequality and cultural exclusion, which in turn lead to problems of social mobility and thereby to poverty. The book examines in particular Tibetan, Muslim Hui, Salar and Bonan people. 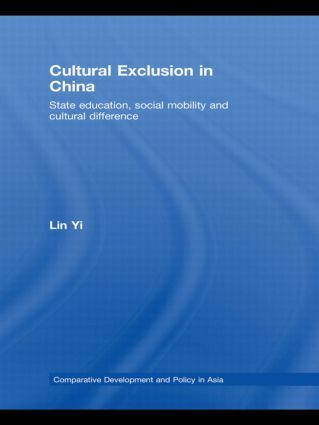 It discusses the policy and practice of education for ethnic minorities, the prevailing chauvinistic Chinese national culture, from which minorities feel excluded, and the attitudes of both majority Han Chinese towards minorities, and of minorities towards their position of cultural exclusion. Besides exploring the forms of cultural exclusion experienced by ethnic minorities, it considers what might be done to promote inclusion, proposing a rethinking of the project of nation building and modernisation of state and minority rights in order to achieve the goal of including the minority population of distinctive cultures into wider society.